Take a global stand to save wilderness habitats for penguins, whales and other precious species. Use upcoming global high level discussions to secure support for a network of protection in the waters around Antarctica - including the East Antarctic and the Weddell Sea. Only two baby penguins from an Antarctic colony survived, out of 18 thousand which recently hatched. The others starved to death because their food supplies have been devastated by industrial fishing. The food chain in the Antarctic has been disturbed by extensive fishing of krill, and many animals don’t get enough nourishment to survive. The krill doesn’t only constitute penguin food. By eating the plankton, they also capture the carbon dioxide from the sea surface and store it in the sea depths where they excrete waste. Thus, the krill protect the entire Earth from the results of the climate change. It is crucial for us to stop the overfishing of krill. Krill fishing has been a fast-growing industry. The latest fishing technology allows ‘suction’ harvesting of the krill by large trawlers. This technology contributed to the rapid decline of the krill population, estimated to have declined as much as 80% since the 1970s. We must stop the harvesters from entering parts of the Antarctic. EU leaders Angela Merkel, her Foreign Minister Heiko Maas, Emmanuel Macron, the President of the European Council Donald Tusk, and the EU’s head of diplomacy, Federica Mogherini, - or their delegates - are taking part in important international meetings where these topics will be raised. They play key roles in the negotiation around the Antarctic sanctuaries – not least because these are their own proposals. What is more, there is a chance that Tusk and Mogherini would want to give in to our massive pressure in order to make a good last impression before their terms in Brussels end in a few months. If we, as their electorate, come together to strengthen our leaders’ position in the negotiations, we can pressure them to make the creation of the sanctuary a priority. By pressing them to stand strong against the Chinese and Russian blockage, our European community of action can help the whole world, far beyond our own borders. We humans are not the only creatures who live on this planet . Beacuse we talking about the world I live in. Antarctic penguins are starving to death. The krill-fishing industry is devastating penguins’ food sources, destroying Antarctica, and speeding up global warming. We urgently need an international effort to make world leaders act. Will you chip in a few euros each month so that our community can keep organising and pressuring EU leaders on issues crucial for our environment – in Europe and beyond? 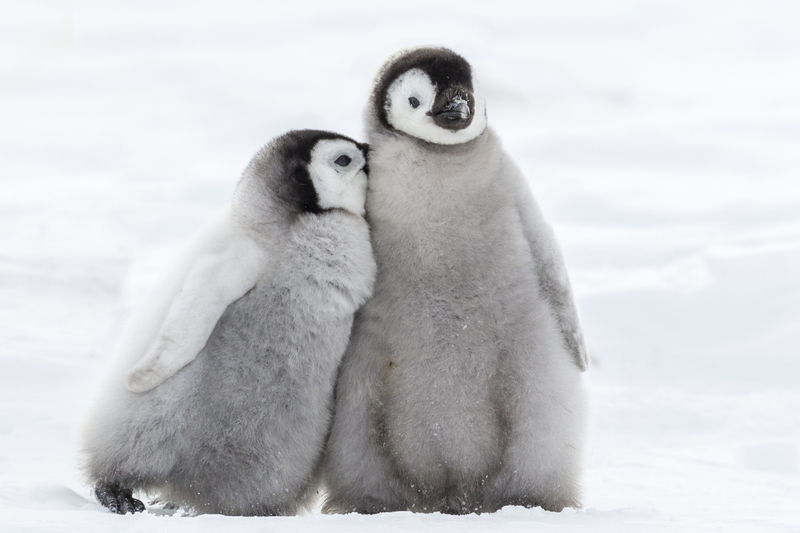 We can save baby penguins from starving. Pressure EU leaders to take a strong stance against China and Russia and create a sanctuary in the Antarctic Ocean. Sign the petition! Thank you for standing for environmental sustainability and responsibility with our community. It is only together that we can truly be a force to be reckoned with.